GAME provide a 24 hour call out service for emergency situations such as broken water mains, flooding etc. Our depots in Bendigo, Shepparton, Wangaratta and Wodonga all stock a full range of traffic and event signage, bollards and mesh for short and long-term hire. Signs can be picked up from the depot or we can arrange delivery anywhere across regional Victoria and Southern NSW. GAME is an active member of the Traffic Management Association of Australia and Traffic Management Industry Association of Victoria. 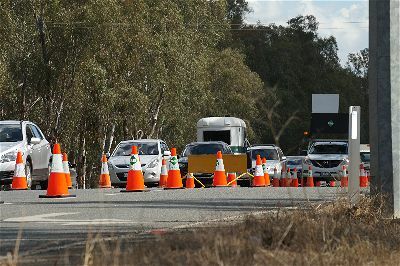 GAME has pre-qualification from VicRoads and G-Classification from RTA NSW which qualifies them to provide Traffic Management on all State managed roads in Victoria and NSW.